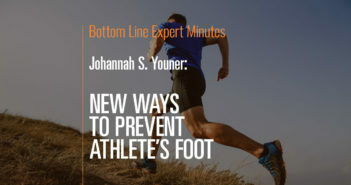 In this video, Dr. Johanna Youner, a board-certified podiatric surgeon, explains how to prevent athlete’s foot and how to treat it. Sadly, some women hide their feet in closed-toe shoes instead of enjoying sandals because they feel self-conscious about their hammertoes. This type of foot problem is more than just a cosmetic concern, however. It can cause significant pain and impair the ability to walk… and ignoring the problem only allows the deformity to worsen. A hammertoe develops from a muscle imbalance that makes the ligaments and tendons tighten, causing a toe to become contracted, explains Johanna S. Youner, DPM, a podiatric surgeon in private practice and an attending physician at New York Downtown Hospital, both in New York City. As a result, the joint sticks up and the tip of the toe curls under like the claw end of a hammer. 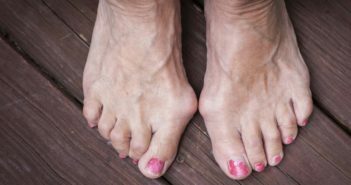 The condition can affect just one toe — typically the second toe (the little piggy that stayed home) because it tends to be the longest — or it can develop in two or more toes. Risk factors for hammertoes include gender (the problem is more common in women than men)… genetics… flat feet or high-arched feet… an old foot injury… arthritis… and diabetes (which can lead to nerve damage in the feet). Choose the right shoes. Look for a wide, deep toe box and a heel no more than two inches high. Have your feet measured to see if you need to go up a size — feet often get larger with age. There should be half an inch between your longest toe and the end of your shoe. Stretch your toes. Every evening, use your fingers to gently straighten the bent joints, holding the stretch as long as you comfortably can… and repeat several times. Heat relaxes muscles, so try this while you’re in the tub or shower or after soaking your feet in warm water for 10 minutes. Adding Epsom salts to the water will further reduce pain and swelling. Another option is to apply an analgesic ointment before stretching — but avoid those with capsaicin, which can burn, Dr. Youner said. Her recommendation: Nonprescription mentholated Biofreeze Pain Relieving Gel. Also helpful: Try periodic professional foot massages to increase mobility and circulation. Do repetitive foot flexibility exercises for a few minutes three to five times daily. Examples: Wiggle your toes… place a washcloth or paper towel on the floor and use your toes to crumple it up… stand with feet flat and, keeping the heels and the balls of your feet on the floor, lift your toes and keep them off the floor for as long as possible… pick up a marble with your toes and then drop it. Wear a splint. A good choice is Dr. Jill’s Budin Hammertoe Splint ($9.95 at www.OurDoctorStore.com). The soft pad goes under your toes, against the sole of your shoe… the elastic loops slip over the bent toes to keep the joints straight. Wear the splint whenever you’re walking — since toes tend to clench and curl with each step. Consider physical therapy. This can increase flexibility and strength in a hammertoe. Ask your doctor whether you could benefit from this treatment.